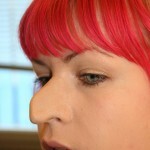 Nose surgery is a common procedure popular among celebrities as well as in the youth these days. 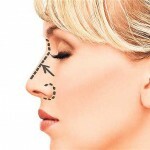 It is a form of a plastic surgery that is acquired for both cosmetic and curative purposes. 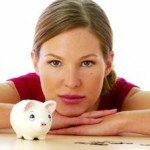 For either of the reason you have gone through a nose surgery, the period following the nose job involves some important maintenance and lifestyle changes that I are discussed below. Swelling and associated pain can be eased off by surgical mask named Swiss cold mask or simply the cold mask. The surgical mask is very similar to a surgical pad designed to place some crushed ice upon its inbuilt gauze. 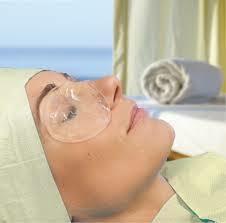 The mask help alleviate swelling by provide cooling to the entire surgical area and surrounding tissues. This particular mask is suggested to use the first 2 days after the surgery when swelling around the nose and eyelids commonly appears. Some degree of discomfort is expected post surgery and patients are suggested to take medications during that time. They need also reduce the intake to of any anti-anxiety medication and alcohol as they diminish the effect of the painkillers. Patients are also suggested to keep their head elevated on 2 or 3 pillows. 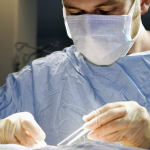 Patients can resume back to their normal routine within the 48 hours of the surgery. However, any kind of arduous activity that involves a considerable body exercise and heavy sweating is restricted. Most patients aren’t asked to rest for more than two days; they can step outside and take upon light physical work of their daily life. Restricted activities post surgery is exercising in the gym, jogging or running and sexual activities. Such activities are usually restricted for about three weeks as they raise the blood pressure and can disrupt stitches of the nose and cause bleeding. Patients need to be very careful about their face during the most critical phase of the post surgery. It is better to avoid all such activities that require direct physical contact with face or the nose, even frequently wiping the sweat off the face or nose is not recommended. Be careful while taking bath, avoid using shampoos or shops, they can cause skin irritation. Stay away from aromatic items and deodorizers since these can induce bouts of violent sneezing. 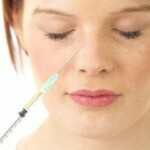 The use of any kind of topical medication or cosmetics that might infuriate the facial skin should be strictly avoided. The patients are not restricted to wear contact lenses however, glasses, whether prescription or cosmetic, cannot be worn immediately after the surgery. This restriction is realistic as glasses can induce pressure upon the soft nasal cartilages, including that they can cause scar-like formation on the nasal skin. Precaution for the glasses is usually advised for about 2 months until the consulting surgeon provide an approval. If patient has high dependency on prescription glasses, upon the consultation of the surgeon some temporary arrangement can be conceived.